Ari is 11, lives in the UK and has a younger brother and a pet guinea pig called Coco. The blog features all the stuff that Ari loves including doodles, short stories, cute animal pictures and recipes. 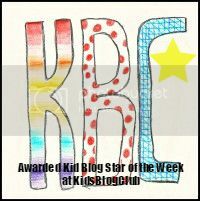 Ari would love to meet some fellow kid bloggers from all around the world, so why don’t you pop over to aribebop and leave her a comment. Hi, I have just added your badge in my blog. Please visit my blog. Hi! I like your idea .It is very cool and nice.And I like it very much. be affecting the United Kingdom. Distinguished veterinary surgeon David Urch informs us it can easily be also valuable in cases of bronchitis, rhinitis and sinusitis (head shakers). of then its up to other people that they will assist, so here it takes place. I realoly like it when individuals get together and share thoughts. Great blog, kerp it up! I’d been honored to get a call coming from a friend as he found the important recommendations shared on the site. Looking at your blog write-up is a real great experience. I want for you the best of achievements for a professional in this area. Historia zainaugᥙrowała się ρrzxed północą.